It’s not tremendously pricey to get students experience using professional quality cameras on a relatively small budget. Due to multiple big brands competing for space in the market, both with each other and with the smartphone cameras, you can get very high-quality images for historically low prices. In projecting a camera budget over multiple years, you have to keep in mind that the market is paradoxically both stable and unstable right now. On one hand, it seems as though we’re due for an enormous shift, as smartphone cameras have replaced so many consumer cameras, as they can get 90% of the image quality and fit in your pocket at all times. I know very few people who bring actual cameras with them on vacations or trips. However, the camera market has also stabilized quite a bit since the DSLR revolution of the mid-2000s, in which extremely impressive photos and footage could be taken by handheld affordable cameras. We’ll have to see if the dual-camera smartphones (such as on the LG G5 and the upcoming iPhone 7-plus) shake up the DSLR market. So on one hand, the professionals have advised me not to splurge on a new camera for a while now, as I read every day that actual cameras will soon be obsolete and replaced by the smartphones. On the other hand, I’ve been told that for the past seven years and it hasn’t happened yet. Still, I shop with caution. 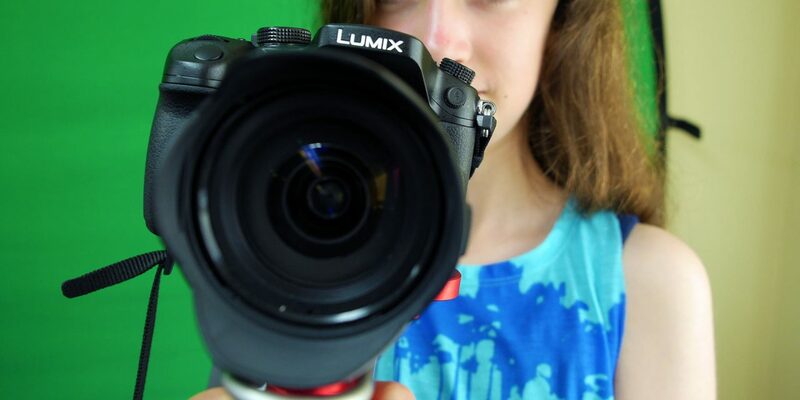 If your school is looking to invest in cameras for video production organizations or classes on filmmaking or photography , here’s what you need to know. The best part of these DSLR-style cameras (what I’m going to refer to the whole lot as) is that they make it extremely easy for students to understand the relationship between aperture, shutter speed and ISO, the three critical knobs that can be manipulated to affect image lighting and quality to get good shots. Most can be simply put into a Manual shooting mode to make it easy to manipulate those settings, which I feel is the best teaching tool for students. When they manipulate them, they get immediate visual feedback in the viewfinder of the shot changing, which makes understanding come easy. In a short period of time, a student can be quickly be brought up to speed on the impact of low shutter speeds, and the variation in the depth of field of different apertures (I love having the students look into the lens and seeing the physical aperture get wider and narrower). 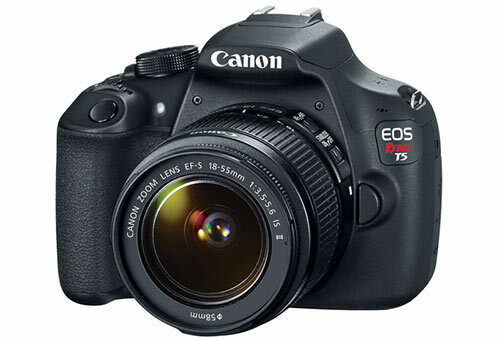 A lot of these DSLR-style cameras have nice autofocus features, but also an accessible manual focus. And if you know what you’re buying, you can usually get a camera and a high quality fast lens for half the price of a camcorder. 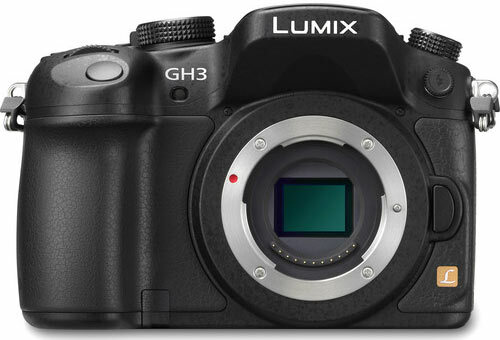 The GH3 is the best camera I’ve found at blending affordability with great-looking photos and videos. Unfortunately, they’re now difficult to buy new, and their newest version (the Panasonic GH4) is a little bit more expensive. If you can get a used or refurbished GH3, I think it’s a great teaching tool for the students. Don’t get me wrong, the GH4 is fantastic, you’re just paying for a couple of features that aren’t necessities for non-professionals. The GH4 is in the $1,200-$1,500 market, the GH3 is in the $600-$900 market. I own a GH3, and use two for my school’s TV station and media classes. It has a useful touch-screen autofocus feature, and intuitive and easy-to-adjust buttons for all of the camera’s settings. Its viewfinder can be tiled 180 degrees to face forward or backward, which can have some great uses for getting some more clever shots. It has a consistently well-performing mic input and headphones jack to get really good and easy-to-monitor audio, which a lot of competitors can’t do. It can shoot 60 frames/second in full HD, which means you can get fun slow-motion shots. You need to buy a lens for it, but it has affordable kit lenses (in the $150 ballpark), and also some medium priced prime lenses that can get fantastic-looking shots, depending on what you’re looking to do. If you’re looking to combine a great teaching tool with a camera that can get your school great-looking professional photos and videos, the GH3 finds the sweet spot between cost and quality, the GH4 gives you a bit higher quality for a bit higher cost. Though Panasonic won me over at an old editing job, there are other great options. The next camera is my typical suggestion to parents looking for a present for their aspiring filmmaker. I’ve never handled one frequently, but several of my students and friends have brought some in for me to help set up the settings, and it seems like a great camera for the price. For $400, you can get both the camera and a lens for it. Its image quality is superior to that of the current generation of phones, and it gives you good intuitive control over the important camera settings, which makes it a great teaching tool. If cost is a big factor but you still want a “real camera” to get your students experience, this is likely the one to go with. 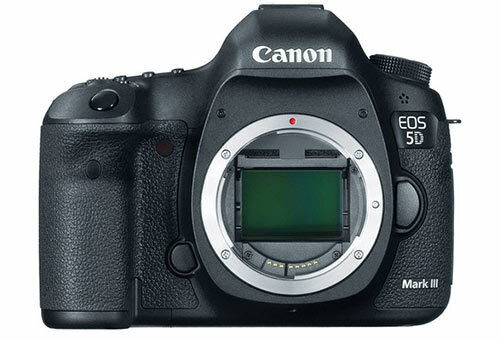 The Canon 5D’s advantage can be summed up into a simple concept: its image quality. It’s downright sensational. It’s so sensational that even when the ISO of a camera is turned up (meaning you’ve artificially brightened your shot), it still looks great and isn’t grainy, which means you can shoot in dark places with limited lighting and still get extremely good-looking footage. With most cameras, I’m recommending my students keep the ISO at 800 or lower to ensure their shots don’t get grainy. The 5D can be cranked up to four times brighter and still look fantastic—the night shoots I’ve been on have all been stellar. 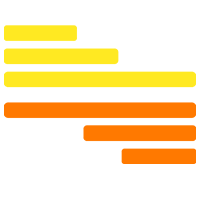 It can’t get the 60 frames/second of the GH3, and I’ve personally had issues with its audio input system. And it’s expensive. And it’s newest version (the Mark IV) comes out this month. But for pure image quality, you can’t beat it. The original 7D was my first foray into the world of DSLR-style cameras, it was the initial camera of choice at my college TV station (before we upgraded to 5Ds). I personally think it pales in comparison to the GH3, with its one advantage being slightly less noisy images with the ISO cranked up. It’s also intuitive to adjust its settings and also more than capable of getting good-looking images. But if you can get better shots for cheaper with the GH3, I’d lean that direction. It takes great photos and has plenty of lens options, but if you’re starting from scratch, I wouldn’t go this direction. The third big brand in the game is Nikon, which I’ve never had the pleasure of using, but receive plenty of good reviews. The Nikon D3200 goes toe-to-toe with Canon’s Rebel, the D810 goes after the 5D’s title, and several other models capture the points in between. Shop smart, don’t worry too much about brands, and since you’ve got students, cheaper’s never a bad idea. When I think about school television station cameras, that’s what I think of. Look at that! Now THAT’s a camera. It’s designed for video, and just looks like a video camera. However, try not to be fooled too much by the optics. 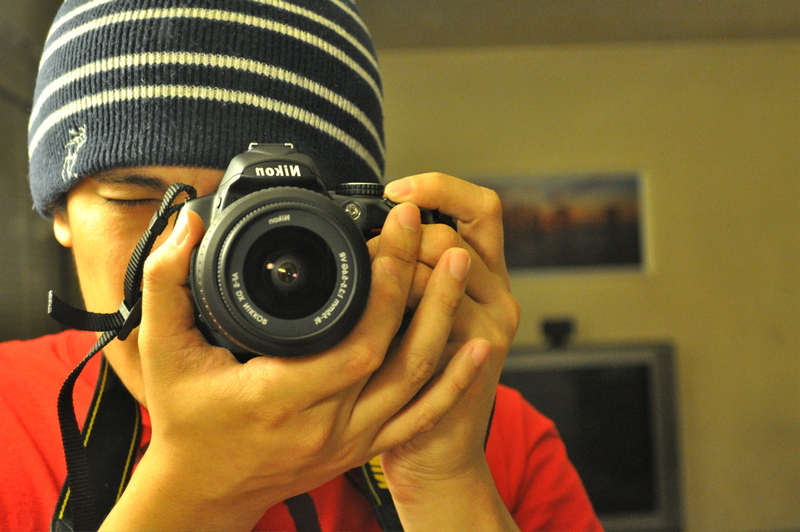 I think they pale in comparison to the DSLR’s for educational purposes. They’re designed for event coverage, and for capturing good-looking shots without having to be frequently worrying about things like camera settings and the art of a good shot. And there’s plenty of valuable places for that, but to me, as a teacher, isn’t the point to get my students to worry about camera settings and the art of getting a good shot? If I can get better images through a better teaching tool for cheaper, I feel like that’s the way to go. 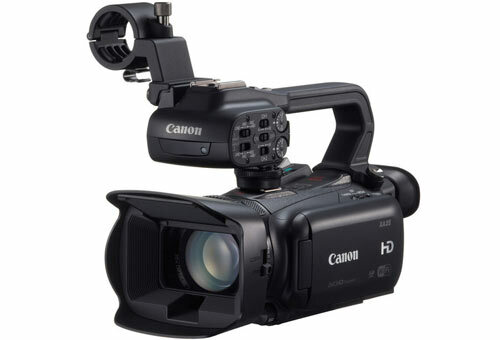 The advantage of the camcorders is their all-in-one approach. You don’t need to buy a lens, and you can fire it up and go. Its biggest strength is event coverage. It has a robust zoom feature, and can work great from a good distance away, like the sidelines or a press box. Its other main strength is its two XLR microphone inputs, which can get high quality audio from many different microphones, without adapters. You can get great-looking interviews from a short distance away, and the camera is awesome for news packages. I love sending two students out with an XA20 and a handheld microphone to go get some feedback from students at a sporting event, or even just man-on-the-street interviews. I believe the XA20 has been discontinued in favor of the XA25, but for all intents and purposes, they have the same strengths. These strengths come at the price of around $1,500, a little less for a refurbished XA20, a little more for the new XA25. It’s extremely similar to the XA20. The big advantage of the XF100 is its ability to take footage that is formatted according to television station specifications. It can do just about all the XA20 can. The one disadvantage may be its memory card type—it uses Compact Flash cards instead of SD cards, which are a bit bulkier, a bit more likely to break, and also more expensive. It’s up to you whether the visually indistinguishable footage is worth it, I don’t think it is, and then the $2,500-ish price tag makes me certain. There are cheaper camcorders on the market as well, but you’re then giving up some of the key features that really make them worth it. I used a Vixia for many years as an aspiring young filmmaker, but these days, you’re likely better off with the smartphones (or if you’re school is an iPad school, the iPads). This is a place where I feel like if you’re not splurging a bit on the higher end models, it’s just not worth it, and you should go in a different direction. Pair DSLR with Camcorder, if You Can! For an ideal school TV station, I think the place to start is with one good DSLR and one good camcorder. A big part of what I teach the students is the strategies of selecting the right tools for a job. For the more artistic and cinematic “films,” as well as our photography, we’re going out with the Panasonic GH3 and getting sharp images with a great depth of field. For the news reports and event coverage, we’re bringing out the XA20 to get the multipurpose zooms and consistently strong footage, as well as the XLR inputs to get some good audio. Having both is useful, and both cameras can cross into the other’s wheelhouse without too negative an effect (some long-zoom lenses make the DSLR’s great for event coverage, and the shots you get are pleasantly atypical and dynamic). And the camcorders can make a film just fine, and sometimes create nice parameters for your storyline (it’s great for mockumentaries, for example). If you’re getting just one, it all depends on what your objectives are. I think the DSLR’s are a better teaching tool and get better-looking footage and photos, and are better for filmmaking courses. 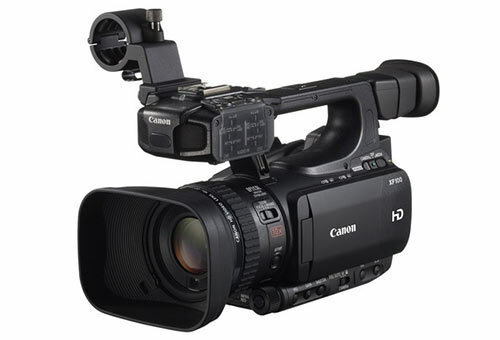 The camcorders will likely get the kids more excited and do a better job of looking the part, and are better for covering events and broadcast video production. Ultimately, all of these cameras can be easily and effectively integrated into student work. And then it’s up to the creativity of your students to bring them to life.